I cut my novelty scraps into set sizes. 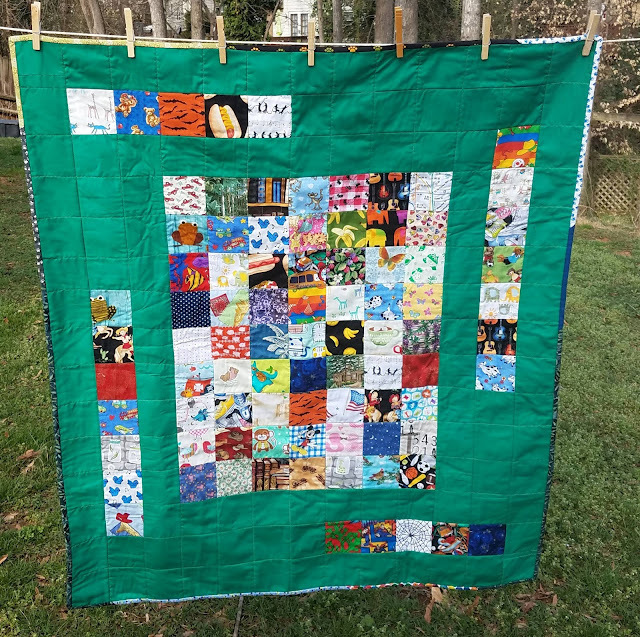 I feel as though no matter how many 3 1/2" squares I use in I Spy scrap quilts, I always have tons more. 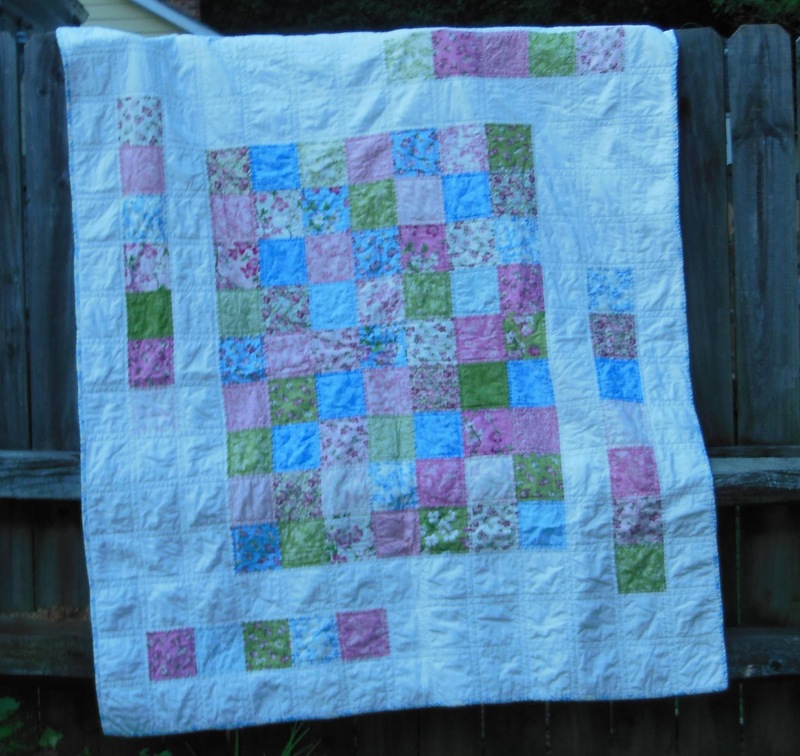 I've been using the Dogwood Weekend quilt on my bed for extra warmth, and I realized that the pattern would absolutely work with 3 1/2" squares instead of the original 5" squares. So I made this slightly-scaled-down version. The pattern is Happy Weekender from Moda Bake Shop. The background fabric is Kona Willow. It's a scrappy binding--I was quite pleased at using up several "spools" of binding from my leftovers bin. And, just for comparison, the Dogwood Weekend quilt (completed 2015) that uses the same pattern and the charm squares (5") as originally specified. Happy Weekender was project #13 on my list of Q1 goals for the globally-hosted Finish Along. Great use of novelty prints! Good call on the downsizing. On behalf of the Finish-A-Long crew, congrats on the finish and thank you for joining in!